The couple had a bet arguing who would last longer in bed and checked into a hotel for the competition. The man lasted for several rounds, but couldn’t get past the seventh leg, the local outlet Guardian claims. Nearly 30,000 people took to the streets of the Russian capital to participate in its biggest annual running event, the Absolute Moscow Marathon, on Sunday. Over 1,300 athletes from Russia, Finland, the US, Germany, Australia and other countries took part in the 50km marathon held in Murmansk on Saturday and Sunday, the Murmansk Committee on Physical Culture and Sports reports. About 600 players of different ages, genders, occupations and skill levels took part in a football marathon, which kicked off in the Russian city on December 9. It's common knowledge that running a marathon isn't an easy feat, but one woman decided the distance wasn't challenge enough and decided to make the endeavour harder - by covering 26.2 miles all while wearing three-inch heels. On September 24, 30,000 runners from 71 countries put themselves to the test at the Moscow marathon held in the very heart of the city. Russian-made Promobot v.3 registered as a participant in a marathon, and this is the first time in the history of running events that a robot will participate on a par with human marathoners. Watch the bot at its very first training session. For Beijing's half marathon scheduled for Sunday, officials plan to use face-recognition software in a bid to stop marathon cheats in their tracks. Want to See How to Cross a Road During a Marathon? Boston Marathon organizers know exactly how to control the flow of pedestrian traffic, and all they need are directional signs, a rope and lots of patience. 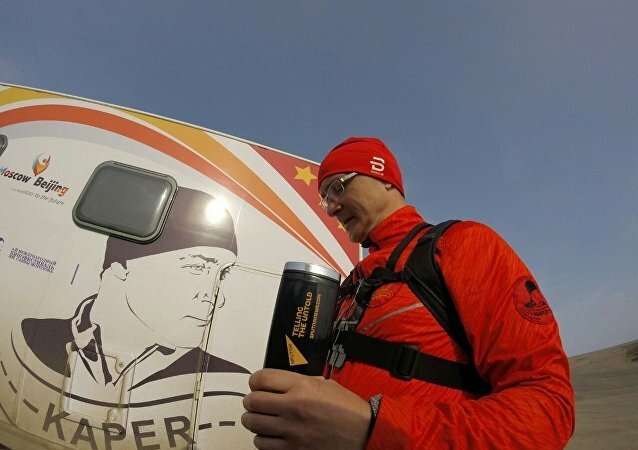 Russian runner Alexander Kaper is carrying out the world's longest marathon, from Moscow to Beijing; he has already covered about 400 kilometers. In an interview with Sputnik China, he jokingly said that during the marathon, he will hopefully not wear out more than the 25 pairs of running shoes that he took with him. A group of Iraqi youth representing the movement “Sports against violence” held a sprint marathon from Baghdad toward the eastern part of Mosul. 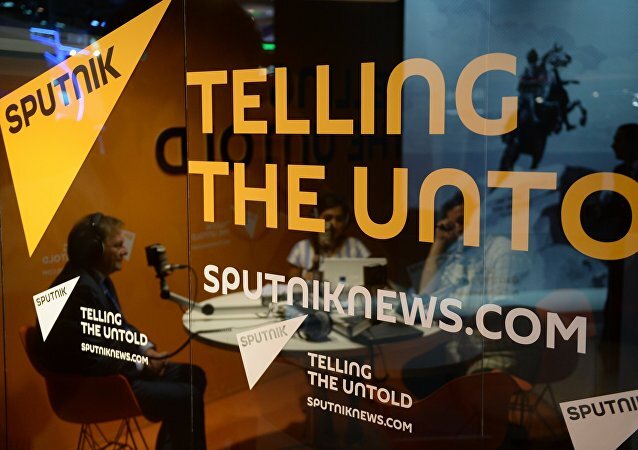 A radio marathon held by Sputnik Radio to commemorate World Radio Day 2017 earned the organization praise from UNESCO. A special radio marathon, held by Sputnik News Agency and Radio to celebrate UNESCO World Radio Day 2017, has come to a close in nine cities across the world. In what local authorities have called "a Christmas miracle," a Pennsylvania mom hiked 27 miles through a snowy forest in northern Arizona to get help for her husband and son - and the whole family has made it through the ordeal. The talks between Russia and the UN on the Syria are crutial for its' settlement. 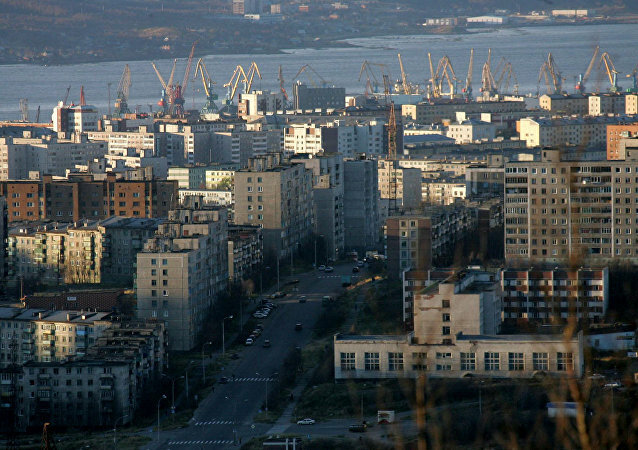 The longest multiday ultramarathon cycling race in the world, the Red Bull Trans-Siberian Extreme, finally reached its conclusion in the Russian city of Vladivostok on July 28.